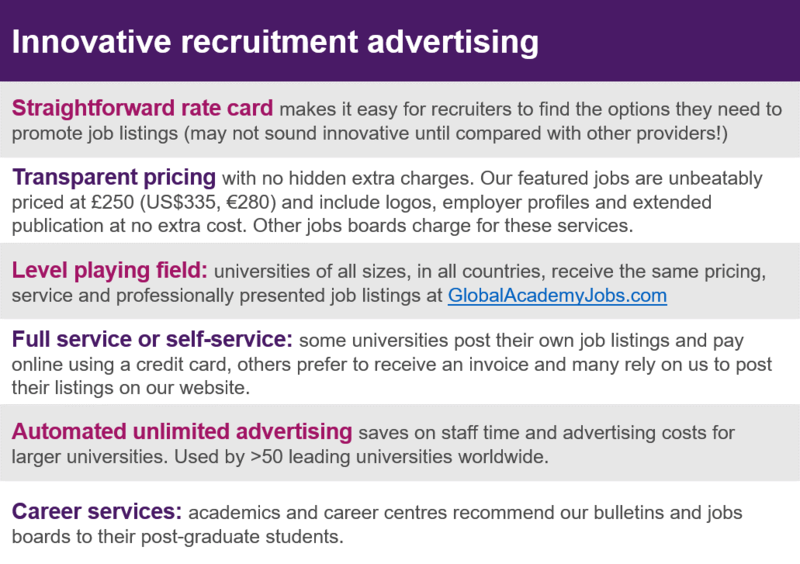 To advertise on GlobalAcademyJobs.com please register on our Employers page and submit your vacancy online. Learn more about how Global Academy Jobs can help you find your ideal job by registering now and starting your search. We help academic and research organisations across the world access the global talent pool when they recruit. We specialise in vacancies in the academic and research sector, at every stage of the academic career path, from post doc and research positions, to lecturer jobs, professorial appointments and president/vice chancellor roles. We aim to post the largest number and widest variety of roles to challenge and excite the global academic community.